Hey everybody! Happy Monday! So with a new week, I have a new list of stitching plans. I'm excited about this group here. I have some coral gingham, white denim, and a viscose crepe all on deck! If you missed last weeks plans, you can check that out here! I'm so pleased with the progress I made with two of those garments. And because I didn't get to the denim project, I've moved that over to this week with a new pattern. This project here I think I'm most excited for because I plan to wear it with the denim top above, my Simplicity 8655 tie top from last week, and my gingham top project below! 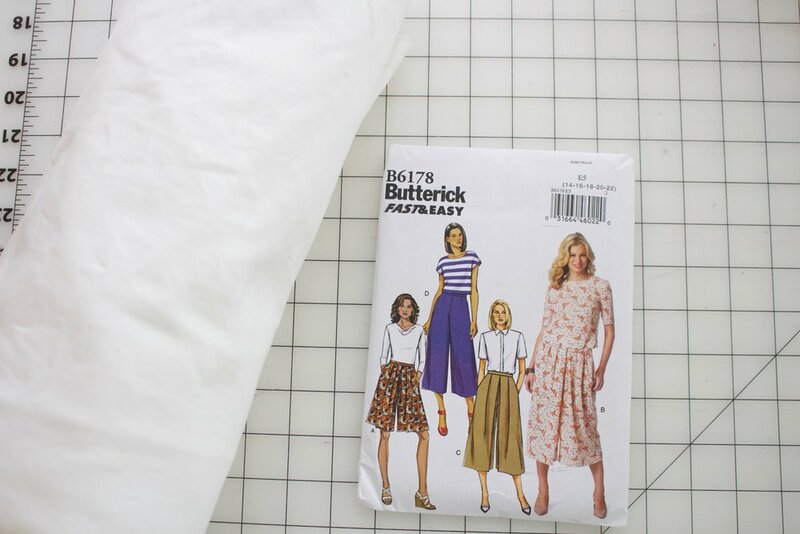 I thought I wanted this white denim to made into another high waisted pant, but I think it'll look great as flat front culottes like Butterick 6178 View D! (I'm basically loving all culottes right now!) I do plan to make a muslin because I want them to fit as perfect as possible. So I'm pulling all my pant fit books (Pants For Real People, Fast Fit) out to help me for this pattern this week. Last project I have planned this week is this fabulous coral gingham! 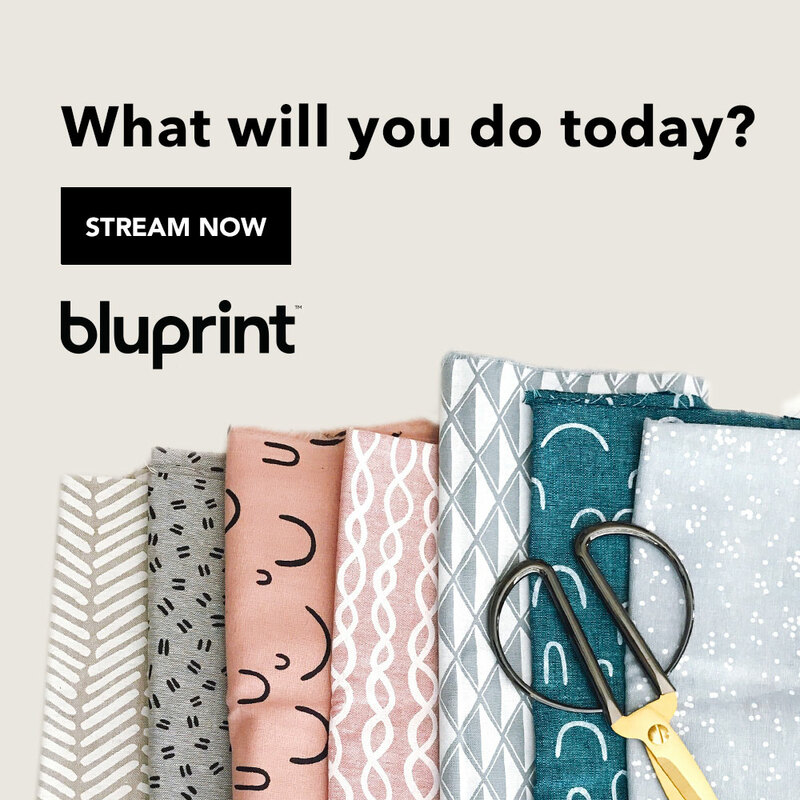 This fabric was designed by the amazingly talented Emily Hallman, and I just had to buy some! I only purchased a yard and its printed on cotton so I think a cute simple front and back sleeveless top will be perfect for it. 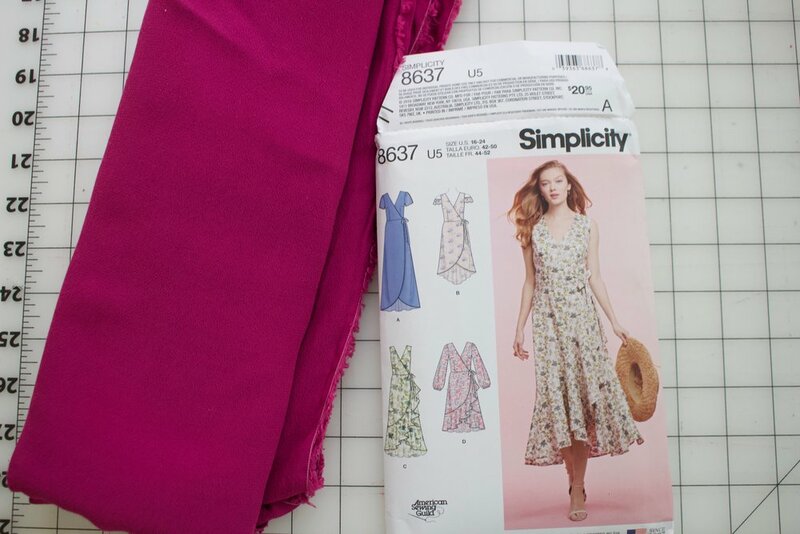 I plan to use Simplicity 8602 and only use the bodice pieces. I can't wait to wear it with my white culottes. I have all of my fingers crossed this week, because I really want to get them all complete. As of right now...I have NONE of them started! Only one pattern is cut and that is ALL! LOL! So yeah, I have some work to do! !